In our fast paced digital age it is easy to get caught up in the day-to-day and forget what really matters. Before I Die is a global participatory public art project that invites people to reflect on their lives, contemplate death and share their personal aspirations in public. Originally created by artist Candy Chang on an abandoned house in New Orleans after she lost someone she loved; Chang created a shareable interactive artwork that creates conversation and reflects a sense of community identity. 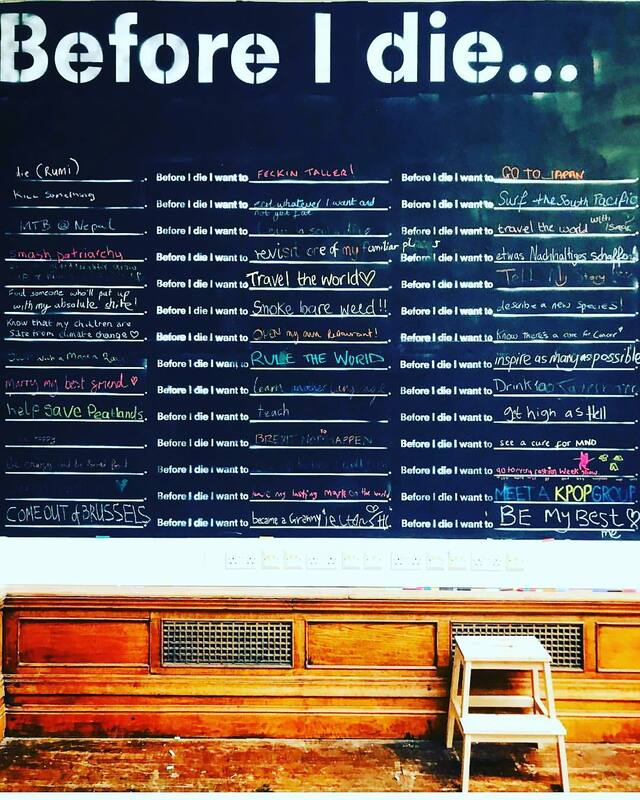 Medicine want their Before I Die wall to create a moment of contemplation to help restore perspective and understanding with people around us. Join in and become part of the project.